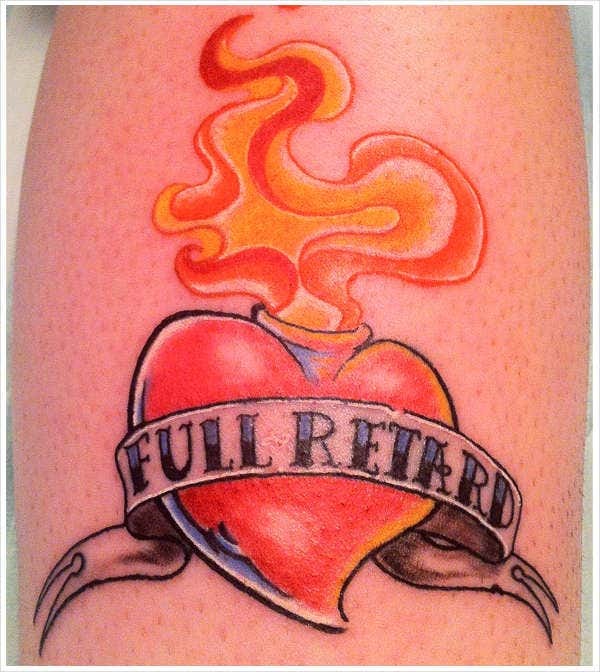 Getting a tattoo is a big decision, more so with love tattoos. There are a lot factors to consider and think about. 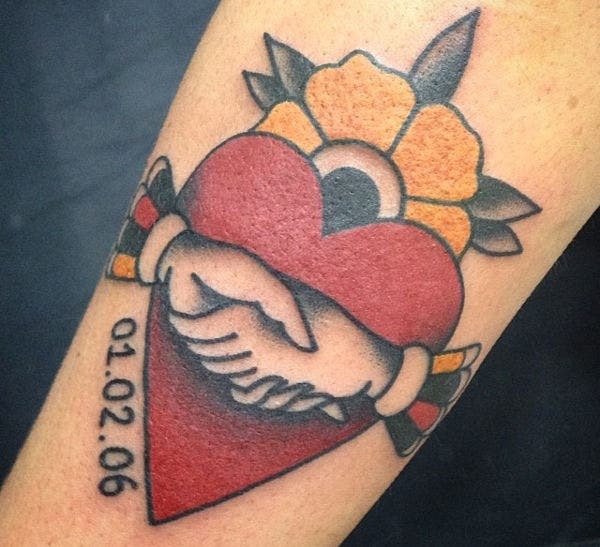 One of the most crucial factors is the process of choosing the right tattoo design. The process is a mixture of complexity and excitement. It is a must that you choose the perfect design that will express your love for your partner, Mom, or for your children. 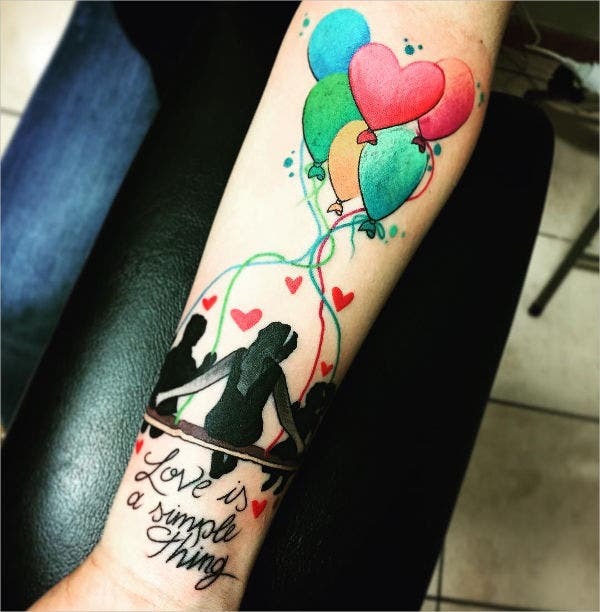 There are various tattoo designs available in the Internet coming from various categories such as love tattoos; abstract, animal, flower, or other plants tattoos; and many more. 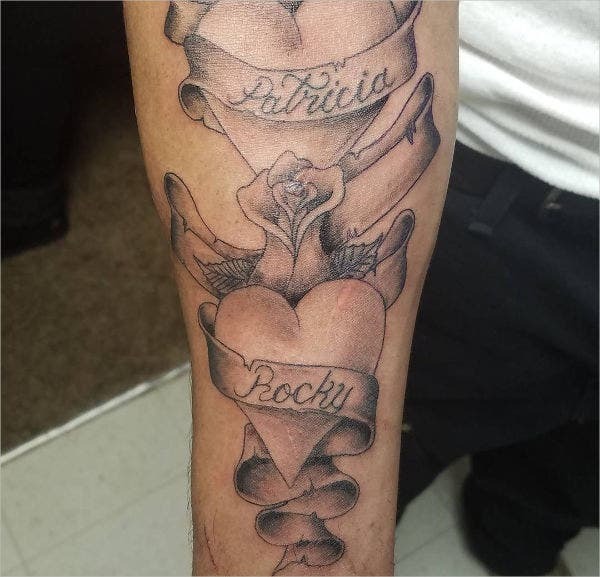 However, only a few designs can truly express our love for our loved ones. 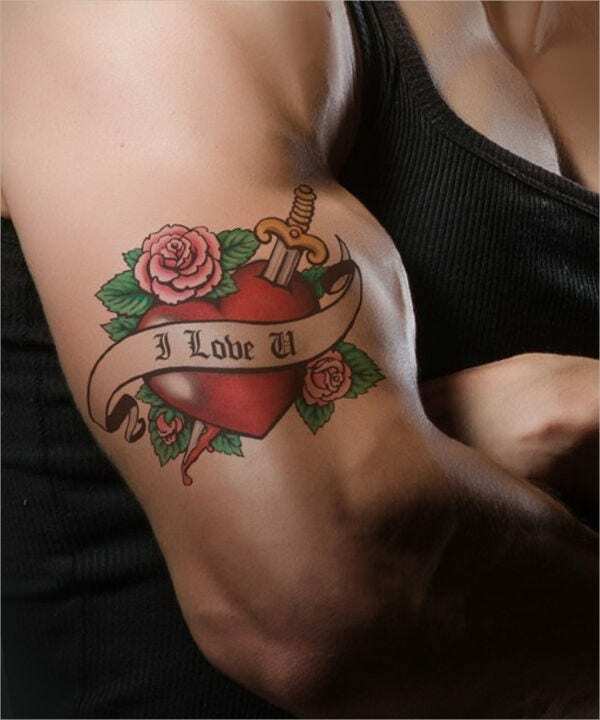 Check out the love tattoo designs we collected for you from all over the web and available below for you to download. Abstract Tattoo designs are favorites for those people who want to express their artistic minds through tattoo art. They convey abstract ideas using visual references such as lines, shapes, and patterns. They also come in different colors depending on one’s preference. The aim of abstract art is to create an idea rather than an accurate visual representation. Most abstract designs for tattoos are associated with tribal art, spiral circles, squiggly lines, brushstrokes, and sometimes unusual objects. Another example of abstract art are swirls of colors combined with other objects such as the ones in this page. The subject matter of abstract tattoo designs is focused more on the feeling and emotion one wants to convey. The composition of the tattoo must give life to the subject matter of the abstract idea. 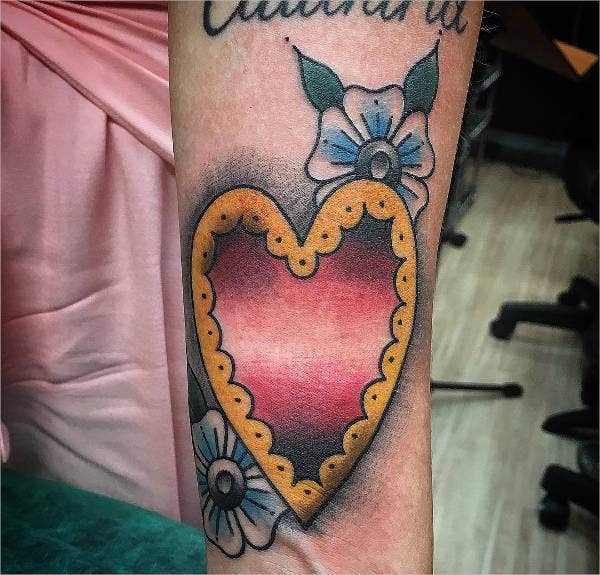 Some tattoo artists in this field find their reference and inspiration from the works of Van Gogh, Picasso, and Pollock. In order to free you from the hassles of planning out what design to choose, you can downloadable from abstract tattoo designs collection. There is an array of designs to choose from and will surely satisfy your artistic inclination. 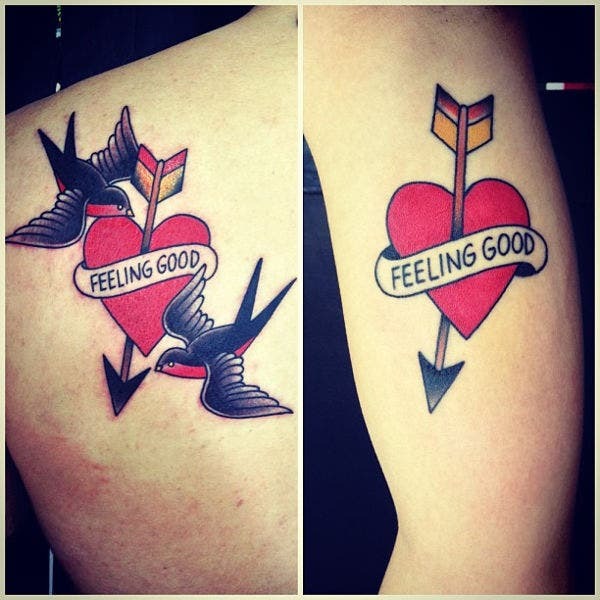 Aside from love tattoos, arrow tattoo designs have become more popular nowadays because of its simplicity and versatile nature. For some, they consider them for their minimalist design. For some, they prefer it because it involves less pain. The arrow designs are highly attractive because you can incorporate many shapes and patterns in it. arrows with added words on it. 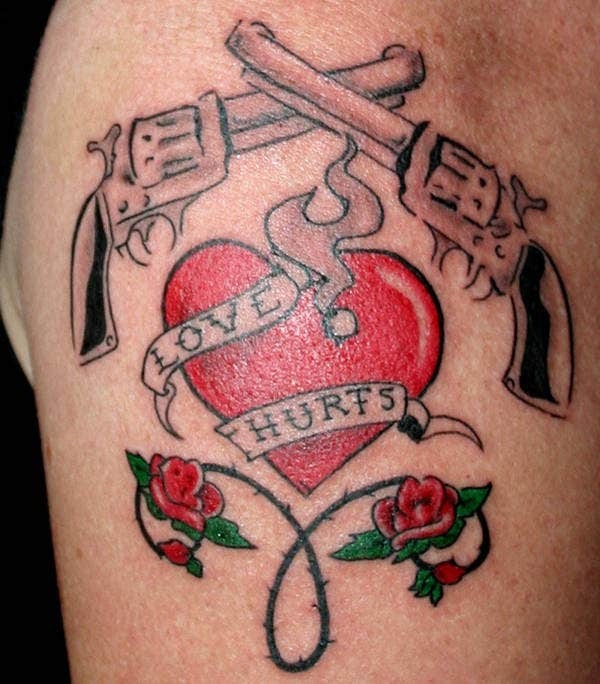 With its simplistic design, arrow tattoo designs can be integrated within love tattoos. 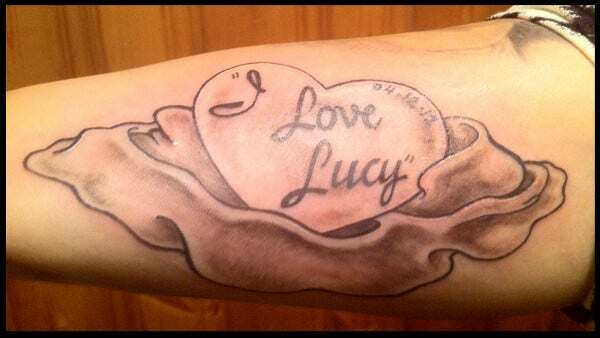 You could add your significant other’s name or loved one’s name inked on a heart-and-arrow tattoo design, for example. However, some also prefer to use some other elements in their designs such as flowers, dream catchers, feathers, anchors, compasses, infinity symbols, and many more. The vibrancy of this design will depend on the choice of color scheme. 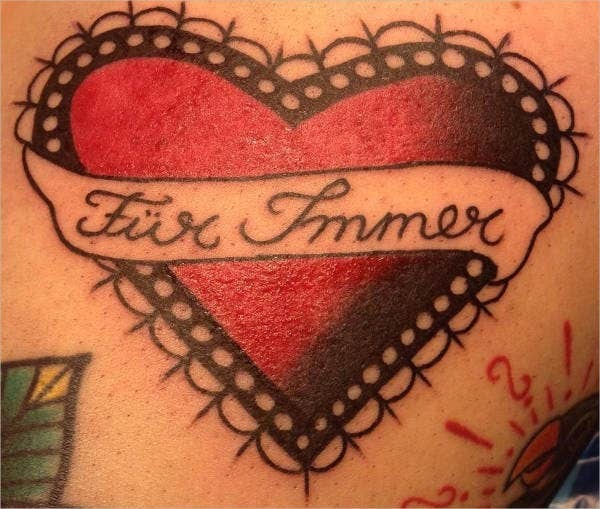 Most people prefer black-and-white arrow tattoos, but the colorful ones have also become popular.